The strike could’ve been also used to solve a few serious issues in TV serials like why the good bahu never calls the domestic violence helpline. To the relief of lakhs, the television industry strike in Bengal has finally been called off. Mamata Banerjee, along with stalwart actors, swooped in to save the day and most senior Bengalis after the strike left their lives in limbo. The strike had paralysed not only the industry, but also families. The actors wanted their payments on time. That sounds fair enough but this was a calamity on par with the time when suddenly spiralling potato prices had imperilled the beloved aloo in our biryani. The ‘senior-care crisis’ had not spared me even on foreign shores. I called my mother in Kolkata from Scotland on my birthday Wednesday and the conversation went like this. 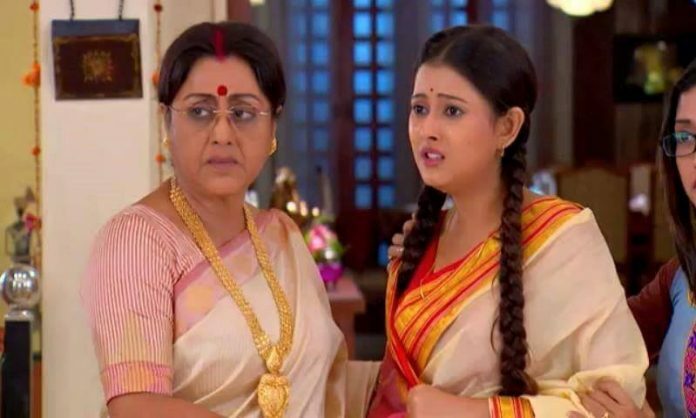 In Bengal, serials are not just about labyrinthine stories of squabbling families. Bengalis have largely outsourced their senior citizen care to Rani Rashmoni and Kusumdola and Bokul Kotha and Andarmahal. Our parents and grandparents spend more time with the families who live inside television boxes than their own children and grandchildren. The families in the TV always show up in time, every day, unlike the real ones. My abiding image of Bengali homes is rooms lit by bluish fluorescent tube lights and the television on too loud. Bengali serials are a portal into a strange and surreal world. In popular myth, the Bengali man is a hen-pecked husband. In serials, even the wimpiest Bengali hero, or ‘kyabla’ in Bengali, has at least two women fighting over him. At some point, thanks to someone losing their memory or accidental sindoor spillage, both will be married to the same man. At another point one woman will secretly put sindoor in her hair for him while the other will try to poison her rival all for a kyabla man with a paunch who lives with his overbearing mother, has an unspecified mystery job and never makes a cup of tea for himself. And no one tells them ever that he is really not that much of a catch. “Such rubbish,” says my mother and continues to watch it because as she says, what else is there to do. My mother heartily agrees. Now when her serials take a particularly annoying turn in the battle of the real wife and the fake wife, she demands to know why Mamata Banerjee is not doing anything about it. She also mutes the characters she does not like as if that would teach them a lesson. The irony is most of these serials are penned by one woman, Leena Ganguly who is also the head of the West Bengal Commission for Women. She might just be the most influential woman in Bengal after Didi. “Every day so many women approach our commission for help. Serials are the only mode of entertainment for many of them. They can associate themselves with the characters. Seeing the heroine raising her voice against abuse gives them strength,” she said. And indeed the serials these days do take on divorce, children out of wedlock, adultery and second marriages. But the overriding message still is that the woman who suffers stoically is always the better woman. But the television strike was about payments. The actors say they are not paid on time. The producers say the actors juggle mega serials, getting paid from two production houses and do not maintain call time. That’s also true. They pop up in so many serials it’s hard to remember which one you are watching and whether that actor is a saint or sinner in it. Though the stalemate is over, it could have been used as an opportunity to resolve a few pressing issues. If someone has spent 174 episodes trying to get rid of her daughter-in-law is it fair to just have her shed a few tears and be instantly forgiven in episode 175 by said saintly daughter-in-law? Is that justice by any standard? Why does the good bahu never call the police/dowry hotline/domestic violence services while the bad bahu always calls those lines to press false charges? Why has no one in 2018 heard of a DNA test for parentage when even Narain Dutt Tiwari knows about it? Why is a legal marriage so meaningless? When people say they want to leave the house why do they always leave with just one suitcase? Why do women in serials cry out of only one eye? Why does a woman want to force a man who says he does not love her to marry him just to spite the other woman (usually her sister)? Why are there so few Marwaris in the TV serial version of Kolkata? How do people fight with hoodlums in broad daylight in Kolkata and not even a single person looks out of a window? Why does no one ever sit down when having a family discussion? And its corollary, why do people visit other people’s homes and spend the entire time in their living room without sitting down? Why is going to the “disc” (colloquial for disco) a sure sign that the woman is going to hell? If you have a drink is it inevitable that someone will mix drugs in it if you are a woman? Why is the working woman in Bengali serials mostly a Rabindrasangeet singer? Is that the only respectable career option out there for the good Bengali girl? Is the main way to torture a new bride by switching salt and sugar in the kitchen? And the thing that has always puzzled me the most – why does no one ever wear a nightie at home? If even half of these questions were resolved, we would all live in a more shonar Bangla indeed. In fact, given the role these serials play in Bengal these days, they could just become part of the state’s elder welfare services budget. But for goodness sake, could someone tell them to just answer the blooming doorbell when it rings instead of everyone looking at everyone else and wondering who it could be?